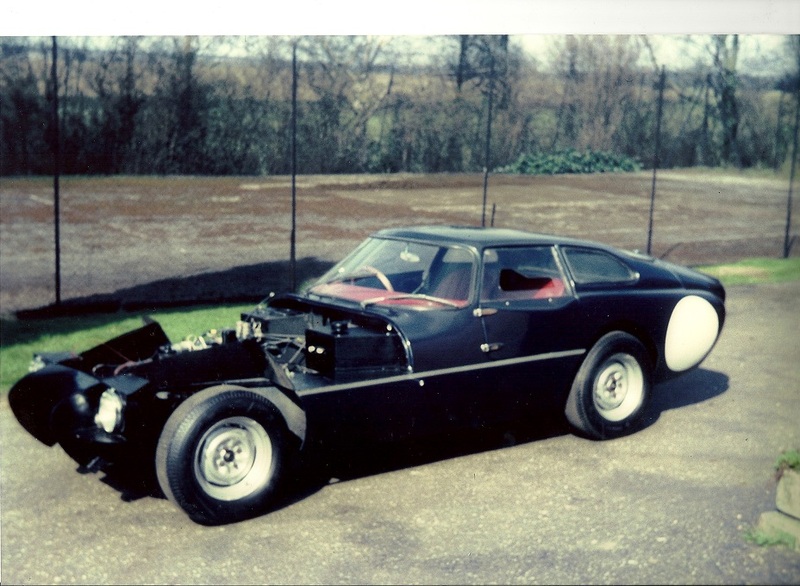 In reply to a request for information, in february 1963, Jem had written to Peter to recommend ‘our competition Marcos light weight model’. 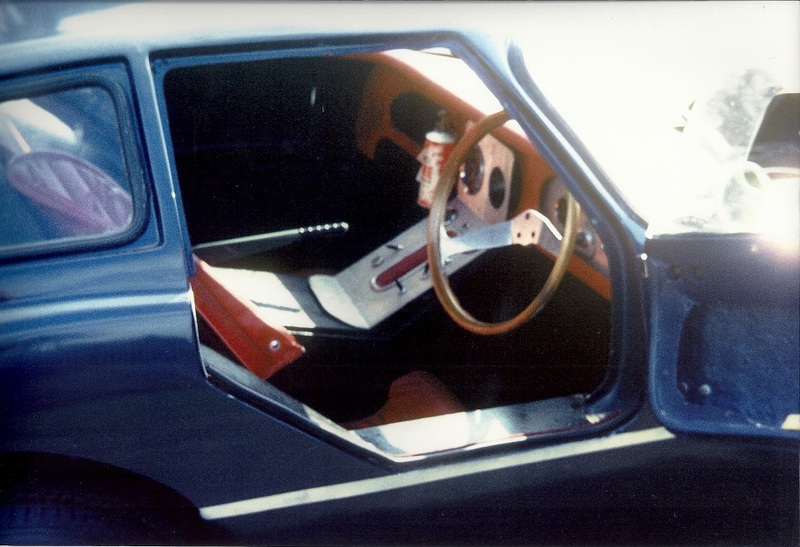 Next to a single-skin boot floor, lightened woordwork and light weight fibreglass bonnet and doors, it sported ‘various other small modifiations to ensure 100% reliability in competition use’ and would only be supplied to somebody intending to use the car for competition use. Peter drove to Marcos in Bradford to buy what he believed was a Gullwing but discovered they had just launched a model. He liked it much more than the Gullwing, which he never found really pretty. 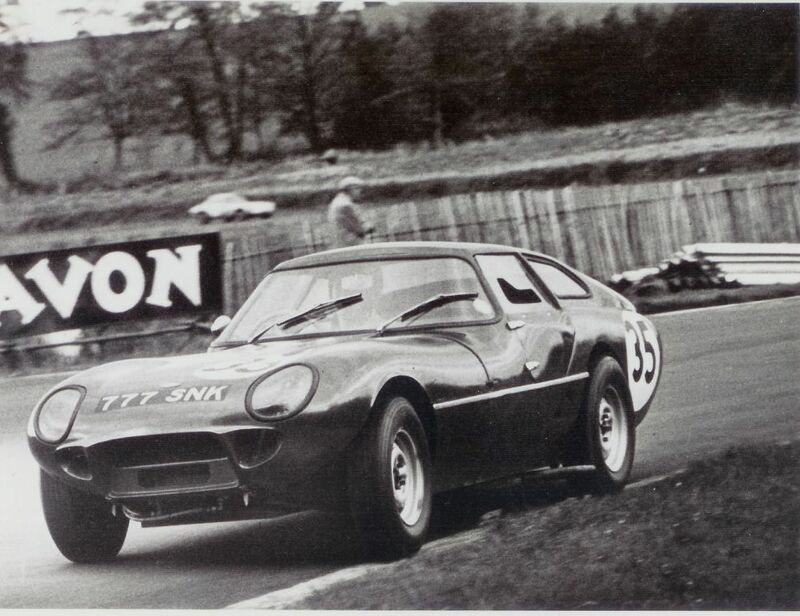 A fortnight after registering the car, he took the freshly tested car to Mallory Park for his first ever race, ending 3rd overall and braking the lap record in practice. 4 more races (Snetterton, Mallory Park, Brands Hatch and again Mallory Park) followed before the end of the season. The body-chassis costed Peter £425, mechanical components £345 and the engine £320. 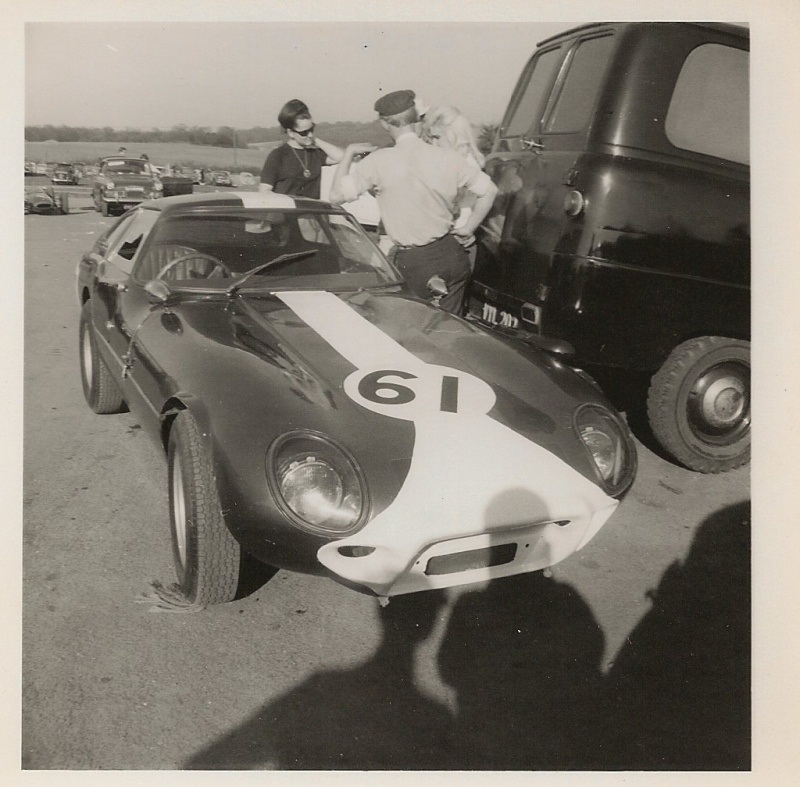 Early in 1963, Jem had written to Peter to recommend ‘our competition Marcos light weight model’ Next to single-skin boot floor, lightened woordwork and light weight fibreglass bonnet and doors, it sported ‘various other small modifiations to ensure 100% reliability in competition use’. Over the next winter, the engine was brought to Holbay who put a steel crank in and dry sumped the engine. Peter Creasey lowered the profile of the bonnet, adding a bright yellow nose and stripe to the dark blue car at the same time. 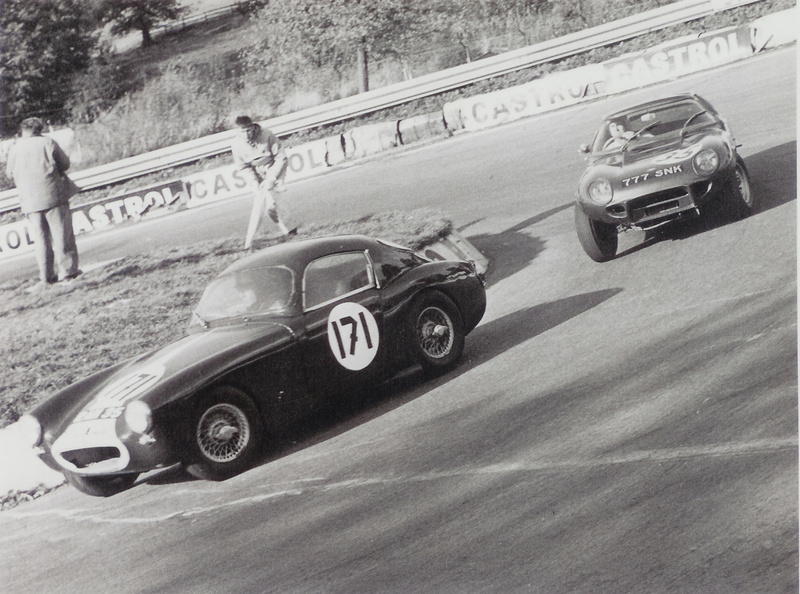 1964 proved a busy season with 11 starts, mostly finishing on the class podium, winning his class at Mallory Park. 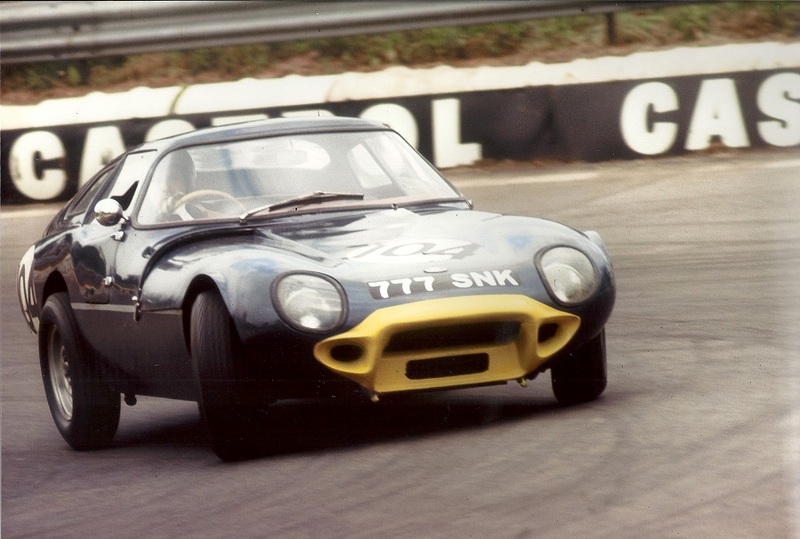 At the end of 1964, the car was sold on, and Peter bought an Elan from Ian Walker. It was raced by a Mr Cowell in 1966, and disappeared from the radar but was picked up by Jem and sold on to Jack Batson of Aylesbury. 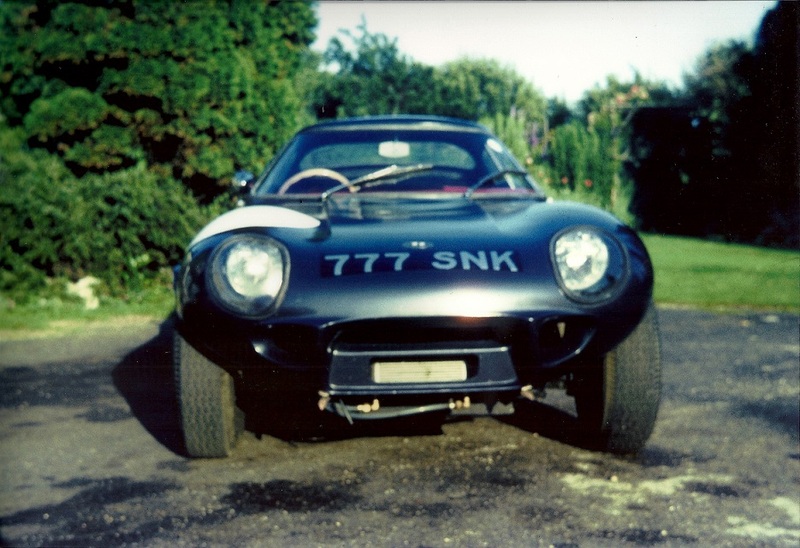 He never started the planned restoration, and the car was gradually moved down the priority list in the next 20 odd years, ending up under a tarpaulin in the garden. What remained was saved and is now awaiting restoration in proper storage.